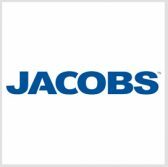 Jacobs Engineering Group has received a potential 10-year, $62M contract to modernize, manage and sustain wastewater facilities in Waterbury, Conn. The contract’s scope of work includes modernization of the city’s watershed system, adjustment of treatment and waste collection processes and planning of long-term fixes, Jacobs said Thursday. Waterbury approached the company after the local community experienced sewer flooding that affected the Naugatuck River basin. Steve Meininger, vice president of operations management and facilities services at Jasobs, said the company assessed the city’s wastewater systems and developed a strategy to operate the utilities. Waterbury Mayor Neil O’Leary said the Naugatuck River is a key component of the local environment and that his administration intends to identify methods to protect the waterway.